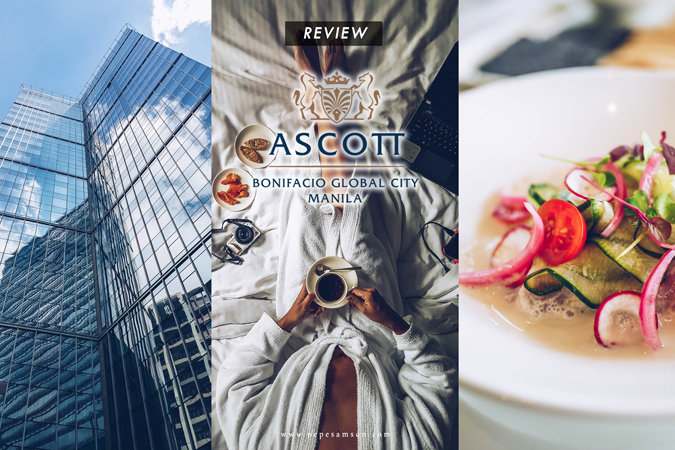 In terms of elegance and a no-nonsense brand of service, few hotels in Manila can probably match that of Ascott BGC—Ascott Group’s premier serviced apartment property in the business district of Taguig. Located at the heart of BGC’s corporate and commercial neighborhood, Ascott is a magnet for business travelers and professional-minded individuals. The hotel, ranked as the number 1 in Taguig City, offers 220 serviced luxury apartments designed with the global traveler’s lifestyle in mind. On your next official trip to the Philippines, make Ascott your home away from home. The hotel is centrally located at the corner of 5th Avenue and 28th Street, walking distance to a smorgasbord of corporate offices, banks, restaurants, bars, and shopping centers. About 20 minutes away from the airport, Ascott is the perfect choice for business travelers seeking for a place to stay that is accessible to the transport hubs, but also situated at the center of activity. Aside from its perfect location, the hotel’s luxury apartments are fitted with modern conveniences that will make any long-staying traveler perhaps even want to stay longer. Read on to find out more about my experience at Ascott BGC. I stayed in a 1-Bedroom Executive Apartment (check rates), a 69-sqm. apartment equipped with everything a traveler could hope for. It has a spacious living area and an adjoining dining area, both of which can accommodate guests. There’s a fully-furnished kitchen as well, and of course a separate bedroom with a lavish bathroom. Offering a respite from stressful city living, the bedroom features an incredibly comfortable King-size bed that just lulls you to sleep after a long day. I don’t remember turning about (I’m kind of insomniac) on this bed—I simply sank into it and passed out. The pillows and sheets were nice and soft as well. Other features of the room include an executive desk, an armchair, a flat screen cable TV, and a reach-in closet with sliding doors. Our apartment was located in a corner, so our bedroom had two sides of floor-to-ceiling windows—I loved it! Feel incredibly pampered when you walk into the bathroom. The luxurious space is fitted with his-and-hers vanity areas, a walk-in shower, a toilet with bidet, and a freestanding tub standing beside the huge window. It is bright and elegant, enticing guests to spend time in it. L’Occitane toiletries match its lavishness. The bathroom is accessible from both the bedroom and the kitchen. This apartment’s living and dining areas combine both leisure and work, in my opinion. There’s a HiFi home entertainment system with Bluetooth capabilities, perfect for cozy nights or lazy weekends. The couches provide space for families to gather or for solo guests to entertain visitors. The dining area doubled as a work area for me—it came stocked with complimentary Filipino treats that I snacked on while catching up on some backlogs. Wi-Fi is incredibly fast. The kitchen, those who love to cook will find, is bliss—it is stocked with all the equipment and tools you could think of. 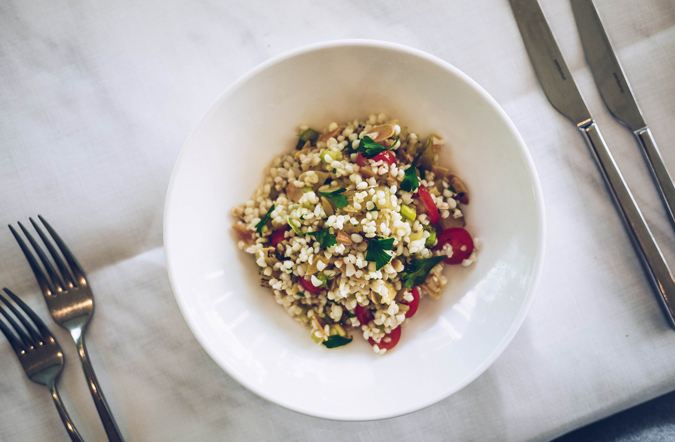 From the usual kettle, coffee machine, ref, and microwave to pots and pans, a stove, cutlery, and other cooking paraphernalia, long-staying guests will enjoy preparing their own food if dining out has become tiresome or if they require special dietary needs. This kitchen has more stuff than most homes. A washing machine and a dryer are also available, so you can do your own laundry during weekends. If this kind of room feels too big for you, I’m sure Ascott’s Studio Executive (check rates) will suffice. In fact, it’s more than enough—the apartment is incredibly spacious (ranging from 42 to 53 sqm.) with a King-size bed, a dining table, a sofa, a workstation, a walkthrough kitchen, and an en suite bathroom. It is a lot bigger than most studio-type condo units in Manila, and it comes with the standard amenities included in the 1-Bedroom Apartment. For those who are staying with their families, the 2-Bedroom Executive (101 sqm., check rates) is the perfect choice. It boasts of a King-size bed in the master’s bedroom, two twin beds in the second bedroom, a spacious living area, a dining area for 6, and a full kitchen. Alta, the hotel’s all-day dining restaurant, sits on the second level of Ascott BGC. Owned by the CIBO Restaurant Group, the restaurant features creations by Chef Margarita Fores, who was awarded Asia’s Best Female Chef in 2016. Alta offers a well-curated breakfast spread (complimentary for checked-in guests, of course) as well as an eclectic a la carte menu that focuses of fresh flavors, local ingredients, and familiar dishes with creative twists. The breakfast buffet is pretty straightforward, with more than enough selections for the busy traveler to start his day with. There’s a salad station with an adjoining section offering a variety of cold cuts and cheeses. The bread station is pretty extensive, with freshly-made pastries, buns, loaves, croissants, and many more. American breakfast staples like pancakes, waffles, toast, and cereals are in one corner. A selection of viands is also offered for those whole prefer their first meal of the day heavy. One should not miss their specialty: the delicious house-made bangers; get some of these, some beans, and, of course, bacon—and you’re good to go. Whether you’re staying only for the weekend or for several months, the hotel’s expansive Fitness Centre in the 7th floor will surely keep you in shape while you’re out for official business. This is one of the biggest hotel gyms I’ve seen, and fitness junkies are sure to be happy with its state-of-the-art equipment. It even has a rowing machine—something not usually found in hotel gyms here. The swimming pool, also in the 7th level, is perfect for a morning workout, an afternoon unwinding session, or a lazy weekend. If you wish to sit back with some refreshments, the bar is just nearby. There’s also a Jacuzzi where you can soak up after doing a few laps. While you take your time at the pool or gym, leave your kids at the Children's Playroom, which features a TV as well as a host of other toys, books, and educational games. Those who would like to entertain some guests or clients for casual meetings can use the atrium for free. The area offers stunning, floor-to-ceiling, panoramic views of the city. If privacy is needed, conference rooms are just nearby, each one designed with a traveler's business requirements in mind. Whether you simply need a room for a meeting or a venue for a seminar, Ascott BGC’s well-appointed function rooms can deliver. For in-house guests, there are smaller (and exclusive) meeting rooms as well as workstations equipped with Macs if you wish to get some things done in a more work-conducive environment. The hotel also offers corporate offices for rent—fully-equipped and ready to use. Imagine not having to worry about where to build your business, and being able to start operations on day 1! Not to mention that your office will hold its address in one of the most prestigious buildings in the business district. Call Ascott to inquire (number at the bottom of the post). It wasn't until I myself was sent to the US for business that I appreciated places like Ascott BGC even more. When you visit a new country and your only friend is Google, hotels that make sure you have everything you need—IN and OUT of its premises—are precisely what you should look for. For someone with a long-term assignment in a foreign city, questions like "where is the nearest drug store? ", "where can I get some groceries? ", and "where can I grab something to eat after midnight?" are of utmost importance. 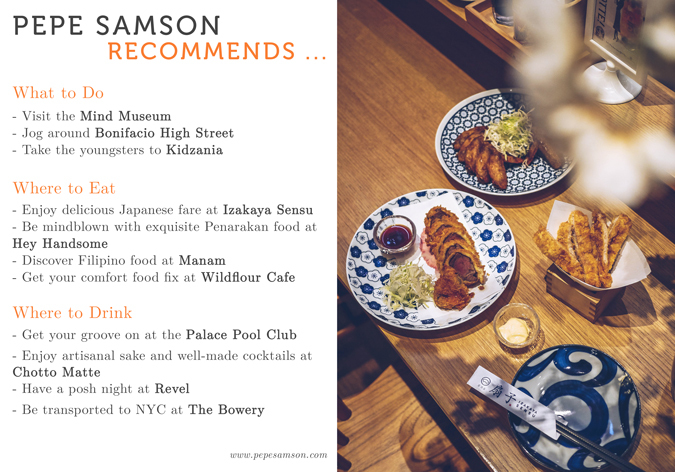 Fortunately, if you find yourself in Manila, you can find these questions answered by helpful staff and by the hotel's awesome location itself at Ascott BGC. Combine that with fantastic amenities and an extraordinary restaurant, and undoubtedly, your stay will be hard to beat. The rooms are incredibly spacious and well-appointed. Friendly staff, from front desk to restaurant. Unique, fresh, and delicious food and food presentations at Alta. Understated elegance is felt all throughout the hotel. Awesome location near business and commercial hubs. Perfect for long stays. The best hotel choice for long stays in Manila. Perhaps the hotel can also recommend places to see beyond Manila for foreign guests. Have you stayed at Ascott BGC? How was your experience?